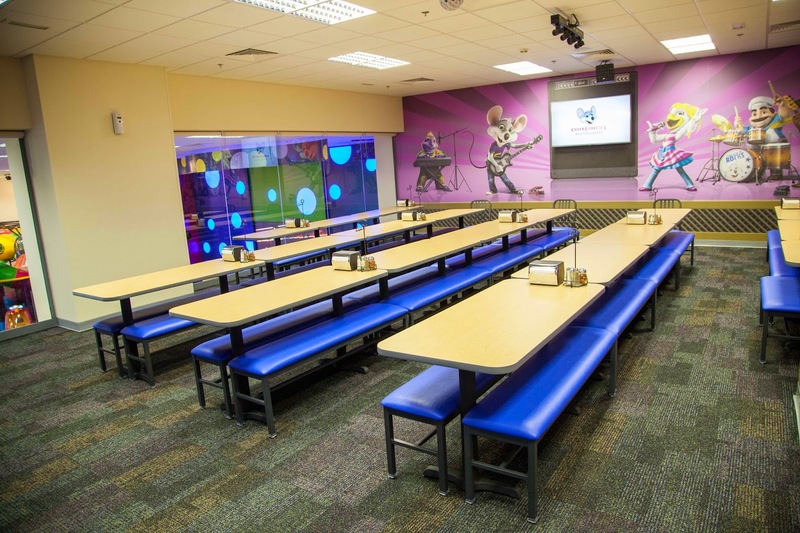 We brought our 2-year old daughter to the newly opened children's play center and family dining destination in Dubai. Chuck E. Cheese's which originated from the US in 1970s, is on a mission to bring loads of fun and healthy activities to children in the Emirates. 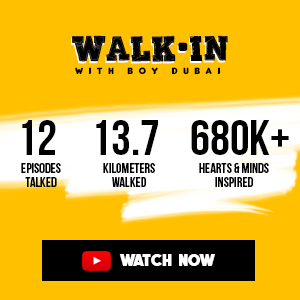 The newly opened venue in Oud Metha sticks to a longstanding belief in building venues where a kid can be a kid while parents kick back and do what we do best. The facade itself speaks loads of fun already that the kid in me can't wait to get off the car and run inside. It's great that there's an ample parking space in the vicinity. Upon entry, we were stamped with an invisible mark that is part of their Kid Check® area - every member of a group, kids and adults, gets a unique arm stamp and kid sticker that is verified upon exit to ensure that the families that come together, leave together... happy; no child should be taken by another party. Superb idea! How about that for couples? 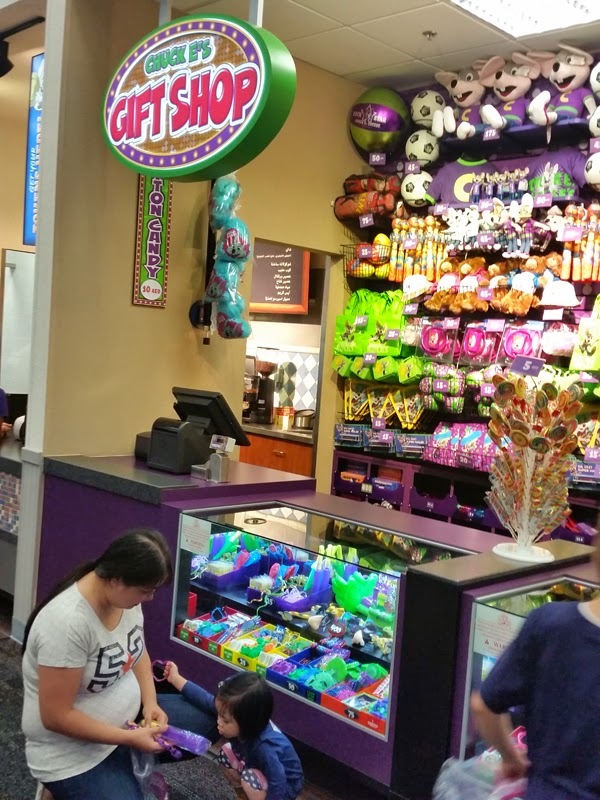 It's a huge play and dining area with over 700 seats and lots of wholesome fun skill games and arcades, for kids and toddlers, big and small, and the young at heart. Best is, it's just ONE TOKEN PER GAME. 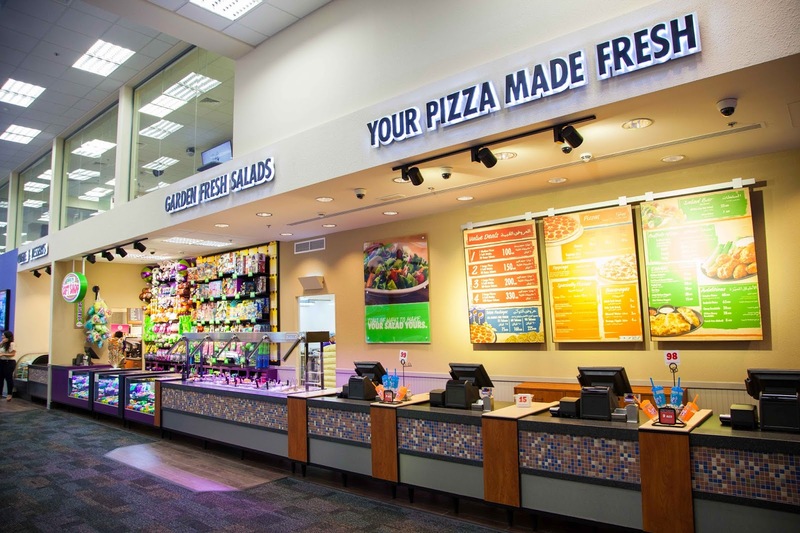 Dining options are mostly American - pizzas, buffalo wings, nuggets and freshly stocked salad bar. There are also Token Packages in the menu. 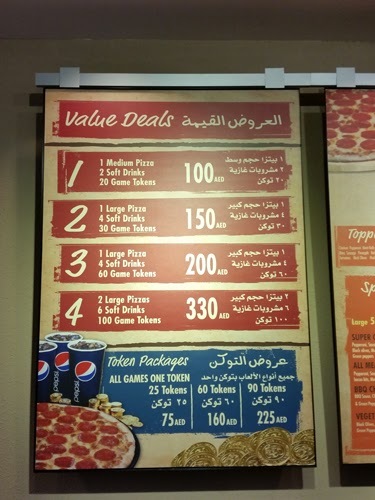 The best option is to take any of the Value Deals where you get pizzas, drinks and loads of tokens. Food is great. Love the 'zas! The buffalo wings are a mix of spicy and mild. There's a separate coffee and desserts counter. The dining tables surround the area on the side and in front of the stage. The place is very clean and orderly - something that you wouldn't normally expect in an 'arcade' environment. The party halls are at the second level. They boasts the biggest kiddie birthday party venue in UAE. Honestly, we could only take few bites because of the excitement to play. 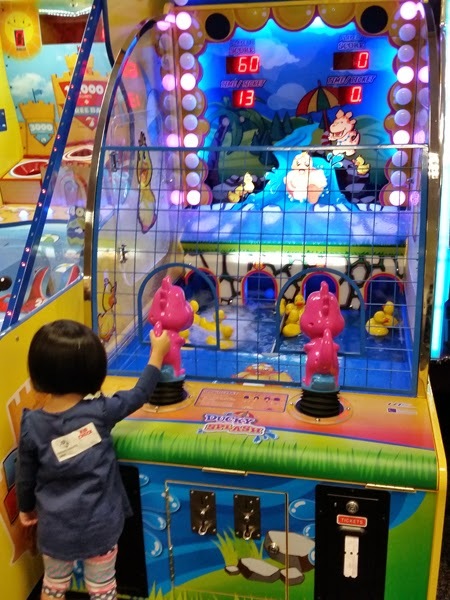 So after inspecting the whole area, we played every game the little one would seem to enjoy (and those that would return loads of tickets too). She also had lots of fun playing different 'ball' games. I had my moment shooting basketball! There were also plenty of mascot appearances. Chuck E. and the crew including Helen, Henny, Jasper T. Jowls, Mr. Munch and Pasqually are constantly playing along and hanging out with the kids. A sing and dance showdown happens very frequently too. They round-up the area parading and inviting kids to come along and follow them to the stage for some video shows and dancing. After every round of performance, they throw up tickets for the kids (and mommies) to pick as many as they can. In the end, we've totaled 448 tickets! This is the highlight of the day, we've got to choose prizes equivalent to the number of tickets. There's a lot of merchandise to choose from. If not for the ducks, I'm sure we could have gotten more, haha! But we redeemed 3 small yet fun toys in exchange. Not bad at all! The little one... VERY HAPPY! The wife, HAPPIER! The dad, still munching the pizzas on the way home. 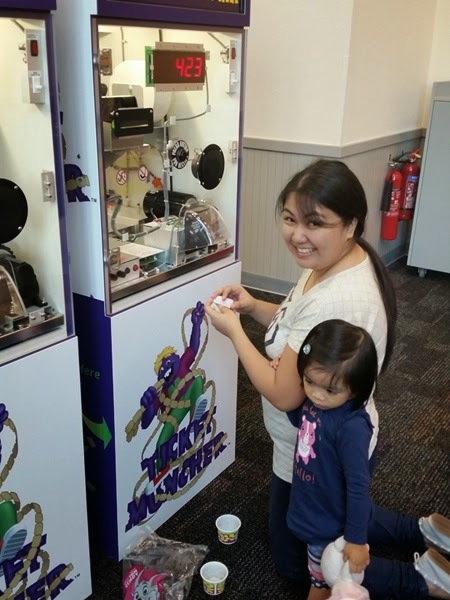 Indeed, at Chuck E Cheese's, a kid can be a kid, and it's where awesome parents go. Definitely this was one of the best outing we had. Can't wait for our next magical visit. We'll bring more of her friends for sure! 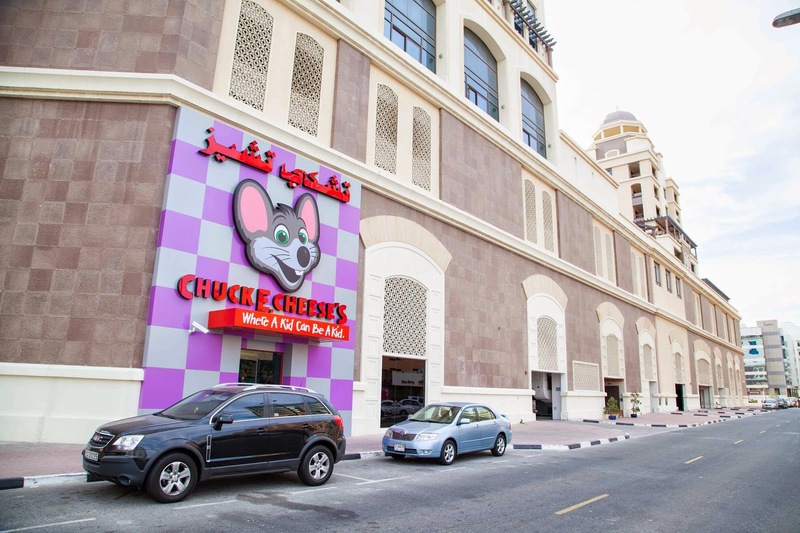 Chuck E.Cheese's is at Oud Metha Plaza Buildings, close to Enoc. Follow them on Facebook, Twitter, Instagram and Youtube. UNBLOGGABLES - The moment she saw Chuck E. at the entrance, she's shouting Mickey! Mickey! We had to tell our daughter that not all mouse names are Mickey. Now she know! | I'm pretty sure parents of toddlers would appreciate if the soft play area would have an expansion. As you know, the kids of this age love to roam, climb and run around wider spaces - and wider spaces means dads and moms would also be in the area to support and facilitate their little ones. Took my kids on Saturday and they had a blast.. There is a lot of live entertainment. I really enjoyed the place and kids just loved it. I am surely going to visit this place again with my kids. Chuck E. Cheese at Oud Metha ROCKS! 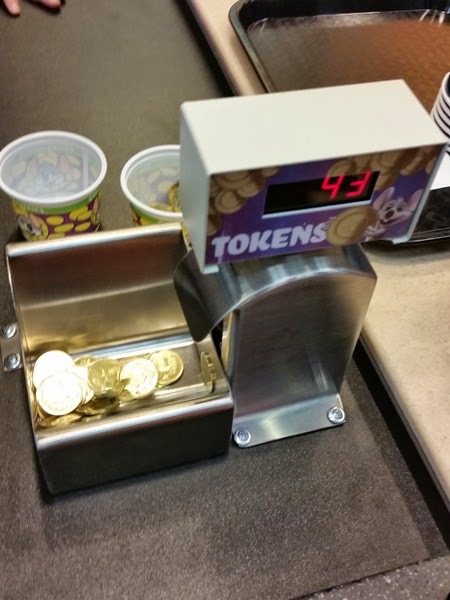 I was in Dubai last week and went with my friend and his family to the new branch Chuck E. Cheese in Oud Metha. It was an amazing experience and I enjoyed, this is one of the place where parents can enjoy with the kids. I would, definitely recommend Chuck E. Cheese and will surely visit with my family again. Loved the concept of this place.... Best place for me, my kids and the entire family to hang out on weekends or for a birthday party. I just love this place and soon going to arrange a birthday party of my niece. I think Chuck. E. Cheese is boon for every parents to make kids happy at affordable rate.